"The new 2013 GI London Defiance team roster is a exciting one and will be a mixture of experienced players and young fresh talent and we are looking forward to working our way through the season. 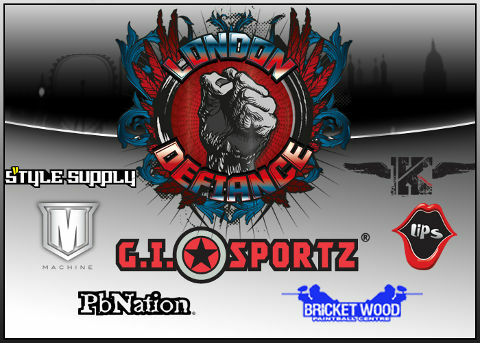 GI London Defiance are looking forward to representing GI Sportz by carrying it's name through the 2013 Millennium season. We will be shooting the best paint in the world from GI Sportz and using the all new 2013 GI pants and packs as well as the Vforce Grillz Goggles. The team will also be wearing fully custom jerseys from Style Supply and using London International Paintball Supplies (LIPS) for all it's other equipment needs. We'll also like to announce that we will be flying the Project K flag, the worlds most advanced online training system and will continue to practice at the UK's most premier paintball field Bricketwood.